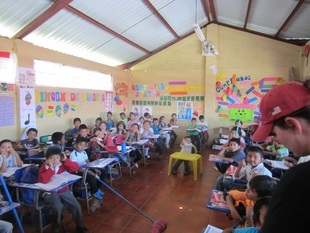 Below you will find several of the projects that Give and Teach is currently involved in. When donating in PayPal, there is option to provide a designation for your donation. If you do not feel that you can provide a full gift amount below, please feel free to make a partial monetary donation. 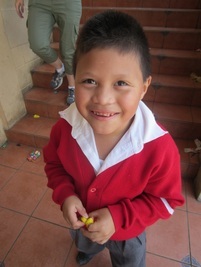 Your one time gift of $100 will help a child attend school for one year. This will supply the needed uniforms, fees, and school supplies. Clean water helps eliminate many illnesses. Your gift will provide a family with a water filter that will allow them to have clean drinking water. 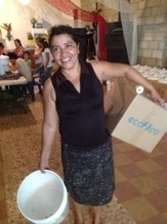 The water filters are provided to families with a partnership with Ecofiltro. 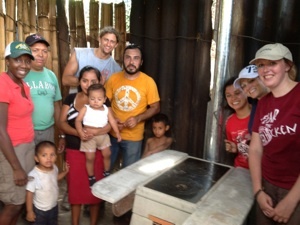 We work with families on clean water education and on a plan to save money for when the replacement filter is required. Many families cook over open fires indoors without proper ventilation. Energy efficient wood burning stoves save money and provide cleaner air to avoid many health risks for the whole family. 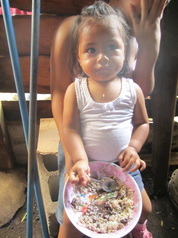 Your gift will provide the materials to build a hen house and all the supplies including 15 hens, feed, vitamins, etc. for a family to begin raising hens for eggs. This will help provide a sustainable source of food and income for the family. Your gift will provide the materials for the construction of a modest home for a Guatemalan family. 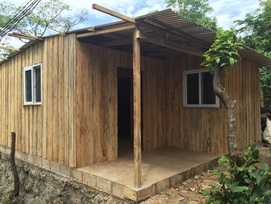 Mission teams, in partnership with the family build the homes with the materials provided. Some furnishings are also provided. As of June 2015, Give and Teach has built 31 houses for families. We are also in need of donations for the schools in Guatemala in the form of goods or monetary donations to purchase the goods here. Please see the list below. Also, be aware that there is a large import tax on all shipments so please arrange with Give and Teach before sending supplies. Your tax-deductible* gift can be made via check, PayPal, or any major credit card.